The kit is based on a quad opamp LM324. All the needed power is directly from the voltage you measure. The first led turns on when the measured voltage reaches 5V. The other four leds are connected to the for outputs of the opamps. 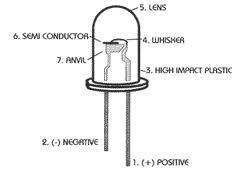 With the help of a voltage divider we can reduce the measured voltage from 0-30 volt to 0-3 volt. This new voltage is driven to the non inverting inputs of the opamp. 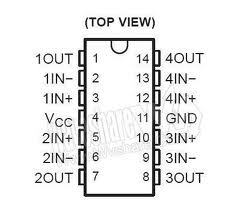 The voltage reference for the inverting inputs is taken from a voltage divider again. 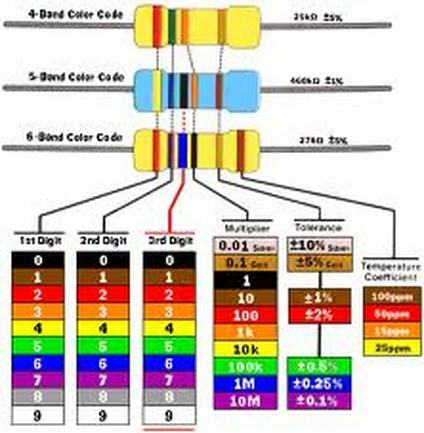 Each opamp operates as a comparator that compares the tow inputs. 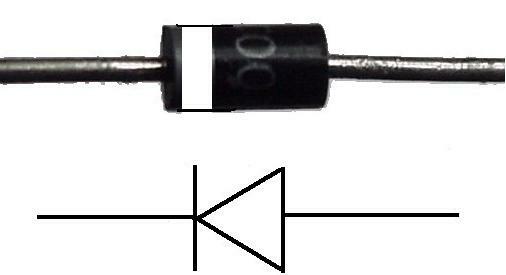 the output of the opamp goes high and drives the led that is connected to it. When the measured voltage reaches 30 volts all the leds are turned on! A very useful voltometer based on the lm324 quad amplifier. 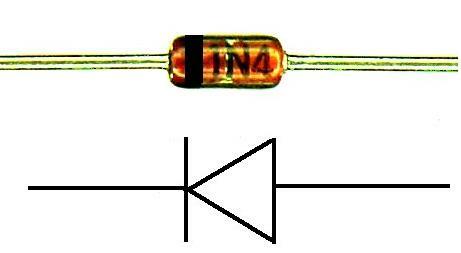 Every opamp is used as a comparator at the interested voltages. 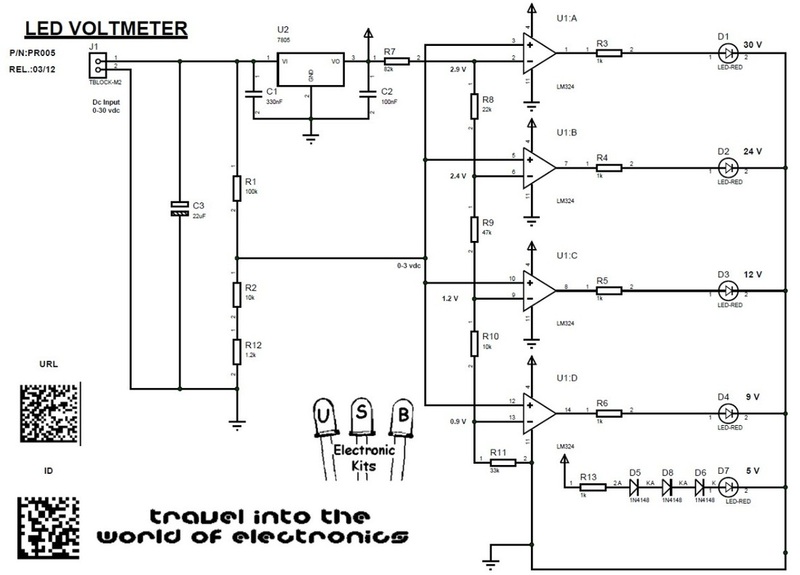 So if you have a power supply and every time you have to measure the output with a multimeter do this project and you are ready to display the interest levels of the voltage.